Croatia President Kolinda Grabar-Kitarovic also made a surprise entry into the locker room and congratulated and hugged the players after Croatia's quarterfinals match against Russia. Croatia President Kolinda Grabar-Kitarovic is a football fan. 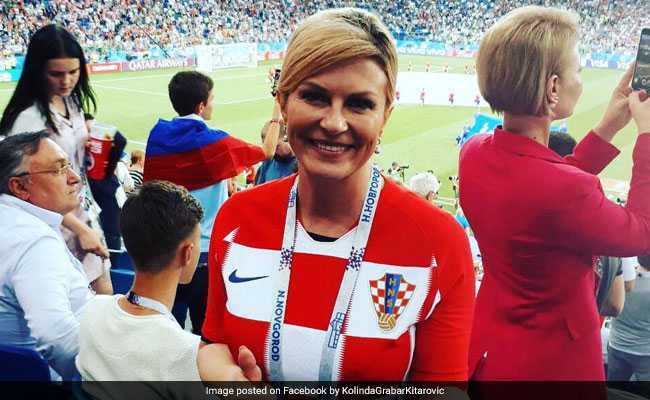 Like a true football fan, Croatia President Kolinda Grabar-Kitarovic, dressed in the colours of national flag, was spotted cheering for the players at the stadium during the quarterfinals against Russia last week. Ms Grabar-Kitarovic flew economy with fellow Croatian football fans and even broke into a victory dance with players after Croatia beat Russia in the quarterfinal match. She also made a surprise entry into the locker room and congratulated and hugged the players after the match. As the videos and pictures of the President, a football fan, emerged on social networks, she became an internet sensation and won hearts of all football lovers for lending a passionate support to the country's football team. Before the semi-final match, the Croatia President posted encouraging words for the players on her official Facebook account and also praised them after they beat England 2-1 to set up a final date with France on July 15. Kolinda Grabar-Kitarovic was elected Croatia's fourth president in January 2015. She is the first woman to ever hold the title of president for the eastern European country. 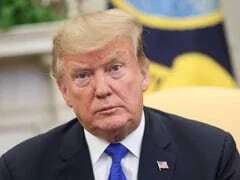 The 50-year-old President speaks eight languages including Portuguese and Italian. She has been married to Jakov Kitarovic since 1996 and the couple has two children.